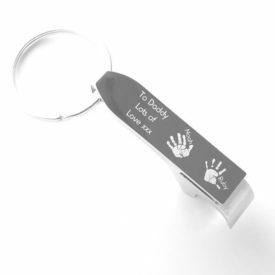 View cart “Hand/Footprint Engraved Bottle Opener Keyring” has been added to your cart. 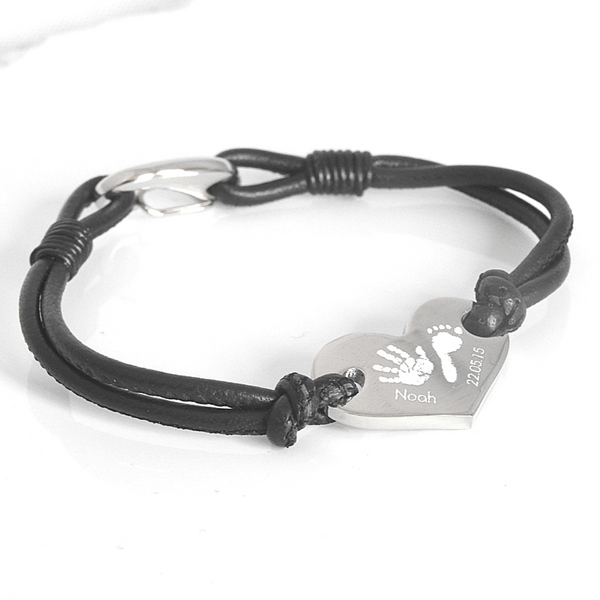 This gorgeous black leather bracelet features a stainless steel heart engraved with up to two hand or footprints of your most special people. 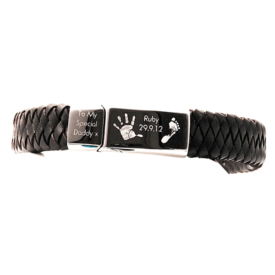 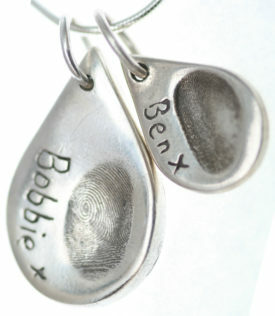 The bracelet can also be further personalised with names or special dates to accompany the prints. 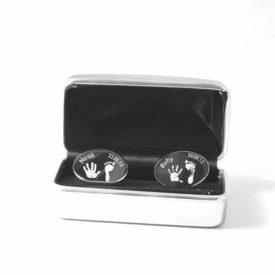 Option three: Two Children: Two hand OR footprints on front with accompanying names.